With over 35 years in human resource administration, Doug McDaniel knows a thing or two about what makes employees and organizations successful. 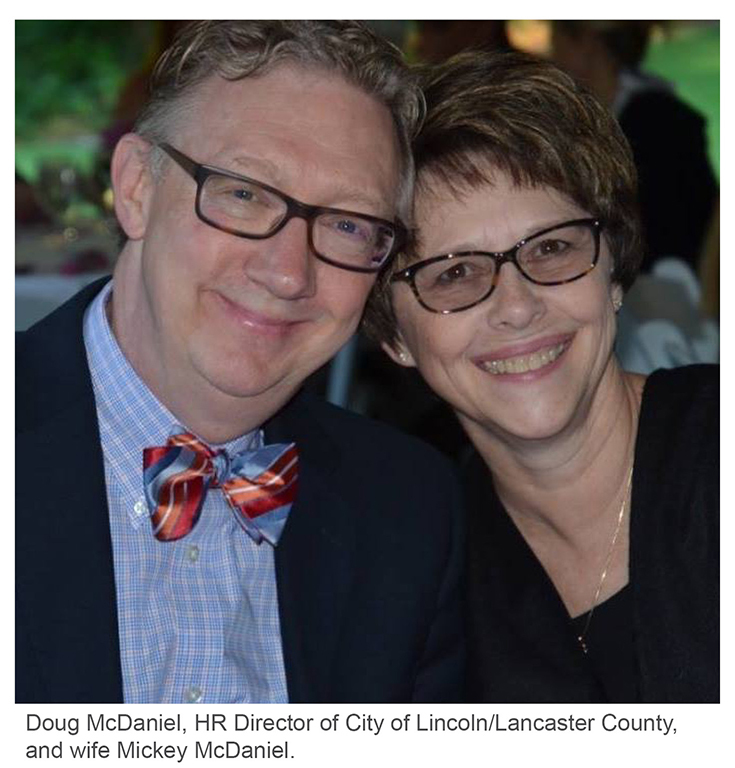 In his current role as Human Resources Director at the City of Lincoln/Lancaster County, his department serves both branches of local government, which includes about 3,400 full- and part-time employees, and those who fill close to 700 seasonal positions. The work these employees perform requires diverse skill sets and includes law enforcement, adult and juvenile detention, fire, emergency medicine, public works (water, streets, waste, etc. ), libraries, parks and recreation, services for the aging, building and safety, planning; all of the things that make a city or county operate, he said. As an employee of a Continuum member company, Doug appreciates the positive effect a quality employee assistance program can have in helping to reduce turnover and improve an employee’s work experience. And as President of Continuum EAP’s Board of Directors, Doug uses his experience in public and non-profit organizations to support Continuum in its mission of providing quality services to the organizations it serves. Doug encourages others not to view employee assistance programs as just another item to add to a “menu” of benefits, but to look at EAP as an extension or tool for managers and employees. “Continuum has a great history in the Lincoln community and surrounding area,” he said. Doug referenced the longevity of staff, the continuity, leadership, both past and present, the great breadth of services without having lost sight of the main mission, as some of the secrets to Continuum’s success. There is a tremendous return on investment attached to appropriately used EAP services and Continuum will give you the largest ROI, Doug said. “Continuum’s services can compete with anyone out there, I am that confident in our staff and our leadership,” he said.